Sabaton se adauga la lista formatiilor care pregatesc un nou material anul viitor. Acest lucru a fost confirmat de solistul Joakim Broden. 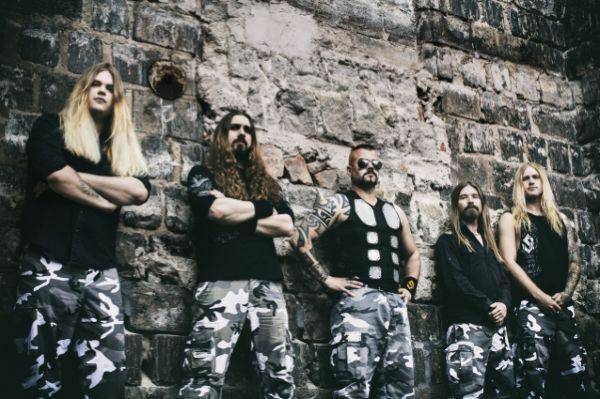 Ultimul album lansat de Sabaton, 'The Last Stand' a aparu in 2016. Iata ce a declarat Joakim: 'Obviously, we're gonna start making that album — well, we already started, actually, songwriting; songwriting never stops for us. But, of course, next year there will be an album. We're not gonna get old and start taking eight years between albums. The thing is, 'The Last Stand' tour has taken us almost everywhere. Before, we didn't play so much in South America and in North America and also Asia, so back in those days, we were done with the touring in time to do an album every two years. Now, since we are playing in Australia, North and South America and Asia as well, it, unfortunately, delays it a bit. But, yeah, we're not gonna be a band who releases an album every eight years."